Today, I am very happy to announce the launch of a new fragrance from 1000 Flowers! For the last year or so, I had been carefully developing a different perfume for a Spring launch this year. Then I found myself here, in the mountains of western Canada watching the beauty of Spring emerge … and I realized that there was another perfume that must be materialized first. For the last few weeks, the new season has been filling our senses more every day with the freshness of unfurling green leaves, of blooming hyacinths, wild violets, magnolias, and the scent of the cool wet forest waking up from its winter slumber. 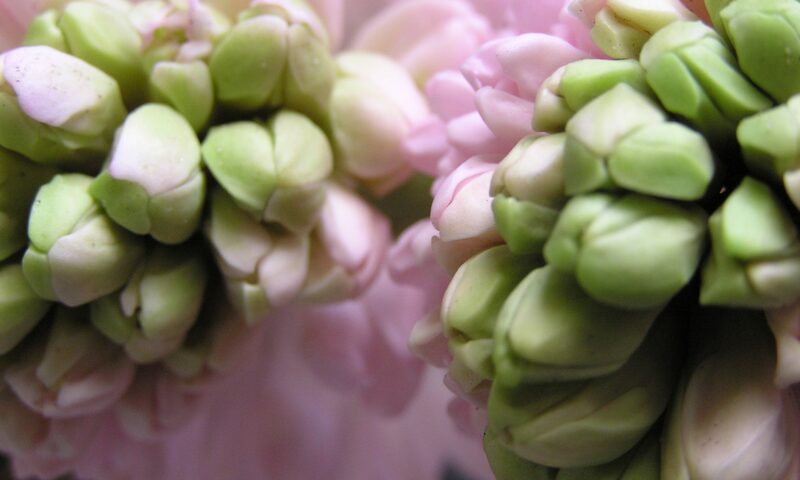 This First Flower, the fragrance that has been inspired by this ambiance, is dedicated to my Mother. Without her, I would not be who I am. It was she who taught me about Nature, about plants and flowers, and about artistic expression. It was she who passed on to me the First Nations (Chippewa) sensitivity and awareness that continues to shape and inspire my life. We trace this blood matrilineally, from my Grandmother, Great Grandmother and beyond, and I wish to honour this line of all my Mothers, many of whom were accomplished artists. This new fragrance is a reflection of the joy and love of Nature, of melting snow and the first flowers of Spring, of new beginnings, and of the wild forests of Canada. Introducing Fleur No 1 eau de toilette…..
Notes of narcissus, magnolia, rose, mosses, the forest in Spring, new baby leaves, wild violets, melting snow, and wet earth. Also, there is an important aspect to this day that I would like to acknowledge. Ninety years ago today, on the 5th day of the 5th month- May 5th, 1921-was the launch of the iconic perfume- Chanel No 5. I find Coco (Gabrielle) Chanel to be an inspiration. Her fragrance, created by the master perfumer Earnest Beaux, is still the top selling fragrance in the world- consistently for 90 years! Happy New Year to all!! May love and abundance fill all your lives for 2011 and beyond! It is now officially the second day of 2011 here in France- and besides feeling full of optimism and energized to jump into some new projects, I am also reflecting a lot on how I arrived to where I am now. This post will chronicle some of that journey. On the first day of this year- we went up into the mountains behind Grasse to a little ski station called Gréolières Les Neiges, which is about one hour by car up into the Sub-Alps. As we crested about 800m in elevation, the clouds dropped away, and we were bathed in bright winter sunshine. At 1100m, the sides of the mountain were blanketed in wild lavender plants and plump little pine trees. Upon arrival at the ski station, we found that many others had planned the same new year’s day outing, and the place was packed with people of all ages. After all, the cost for a half day ticket is only 6 euro! We had decided to have lunch in the lodge- and being that it was a bit too cold to sit outside at one of the long dining tables, we went inside, only to discover that it just as chilly. The lunch menu was small- but the risotto with prawns and shaved reggiano that I had, was absolutely delicious (and very well presented, given the setting). Later, after a walk in the sunshine, looking up at the quite large runs over various parts of the slopes, plus some very brave sledding, we returned to the waffle and crêpe stand at the lodge, and had our dessert. My crêpe with ‘abricots et chantilly’ was divine! On our way back down to Grasse, we stopped at the wild lavender zone to check for seeds. Sure enough, the little scruffy flower tops still held some of the shiny black seeds, and even offered up the dry powdery aromatic perfume of the summer blooms. One of my projects from this past year of 2010, was to grow lavender plants from the seed I had collected 2 years ago from the same spot. I successfully raised about 65 plants- and by the time I left Canada 3 weeks ago, they were hearty little shrubs of about 5cm in height. So now what’s next for 2011?? First off, I’ve begun the major project of building another website for a new branch of the entreprise. This will be the site for all things natural that I create or that I find while traveling in France and beyond. After all, I first began with naturals back in 1994 by launching a collection of 5 massage oils composed of essential oil blends and almond oil. These were very simple and even the labels were hand-painted and then colour-copied! This was followed in 1996 with a collection of pure essential oils and several skin care products, including a gel moisturizer and a scrub inspired by (and utilizing) the dried hibiscus flowers and copal resin that I found in Mexico. It was also at this time, that I applied for and received a small business development grant from the government. Three years later, in 1999, the Body Bar was born- a collection of cocoa butter massage bars that were ‘good enough to eat’. These were quickly ‘discovered’ and were soon distributed across Canada and into the US. Sometime during the huge success of the Body Bar, I came across an article in the New Yorker about the creation of an Hermès perfume, and the light went on for me. I had no idea the career of ‘perfumer’ existed, and I was smitten with the possibilities. I began to research like mad all that I could find about perfumes and the companies who created them. Jo Malone and Lyn Harris of Miller Harris, among others were huge inspirations for me at the time. Having already worked with the natural raw materials for almost a decade, this was a medium that was very familiar. Clinical aromatherapy had been the path I was exploring for years. I had completed a year-long certification program through the Australasian College of Natural Sciences in Portland- but I was craving to be more artistic and even abstract. The art of perfumery was the natural direction to take. For four years, (while also manufacturing the Body Bar), I worked away in the little studio at the back of my garden, and created 4 natural perfumes. These I marketed only to my community, Nelson, British Columbia, where I had lived since 1995. These were exceptionally well received, but I was reluctant to launch them out into the world. I felt there was still too much to learn and I didn’t want to make any mistakes. I knew then that formal training was a necessity. As it can sometimes do- life broadsided me when the sole distributor of the massage bars copied the product, thereby reducing my income to almost zero. I was devastated. This was a classic case of David vs Goliath and I really didn’t want to take on a huge fight like that. This was a very difficult and emotional time. It was then that I made the dramatic decision to sell my house, (including the studio), to fund my dream and go to perfume school in France. From this point on, the story can be picked up in detail at the beginning of this blog. I came to Grasse in January of 2007 and have been here a good portion of the time ever since. This blog has followed the journey. 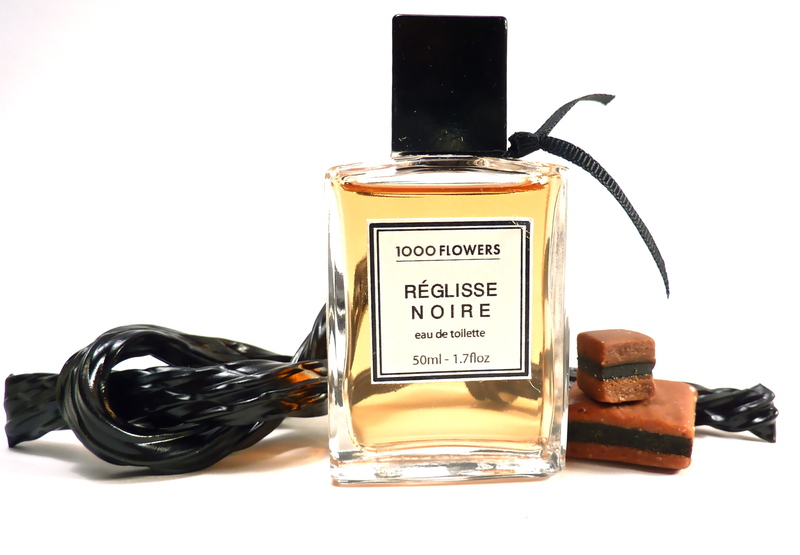 In April of 2010, I went to New York City to present my fist perfume, Reglisse Noire, to the Sniffapalooza group. This garnered some great reviews and enthusiastic support. As well, at year end last week, the same group of supporters in New York awarded Reglisse with the award of being in the top 25 picks of the year in perfumery. I am not trained in advanced business, but I am keen to learn and continue to explore my own vision as 1000 Flowers expands and grows. I have been reading the book ‘Business as Unusual’, written by the founder of the Body Shop, the late Annita Roddick. I’ve always found her hugely inspiring. I believe, and always have, that there are many different ways to find success- and forging new paths that are positive and inclusive, and that take into account the health of the planet- are particularly important. Of course, one must play by certain general rules, and take counsel whenever possible, but one’s approach and attitude to life (and business) can be defined individually. Rebelliousness can be rewarding when expressed creatively. I have arrived safe and sound back to the beautiful home of my heart- Grasse, France. I got in last night, after a very long journey from Canada. I caught the bus from the Nice airport- and after wrestling my two large and one small loaded down suitcases (more raw materials and books/papers than clothes) down into the old city, I was met by my friend Julie who had my keys. She than kindly helped carry everything up to the 5th floor where I live. I was nervous all week- not sure how it would feel to be back in Grasse this time. I have been in Canada for the last 11 months, and it is always a huge shift to jump between cultures and worlds- and I often feel so slightly schizophrenic in which place I belong to. The longer I spend in one place the bigger leap it is to return to the other. (I still think there should be some sort of psychotherapy for this sort of dilemma). However, as soon as the bus entered the outskirts of Grasse, I felt a surge of excitement. And certainly, as soon as I unlocked the door and stepped into my apartment, I breathed the huge sigh of relief that one does after being away from home for a long time. Now today, after a heavy sleep (thanks Jordanna! melatonin really works! )- I am unpacking and settling back into this lovely space. It is cold (these old buildings are not made for cold weather, and last night it was -1 C), but it is bright and familiar, and I am excited to get to work creating the perfume that has been percolating in my mind for the last 6 months.